His Name is John malayalam movie directed by debutant T John. This upcoming project would be much special for the movie enthusiasts as it would come up with more specialties. The movie will be gifted with the music rendered by Shan Johnson, daughter of musical maestro Johnson Master. 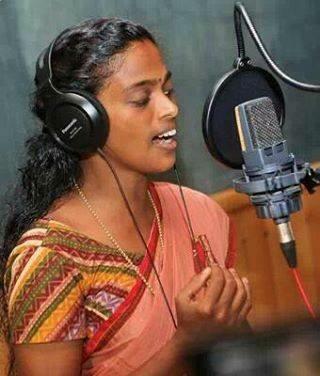 Youtube sensation Chandralekha who became popular in a fortnight has sung a song along with her idol, K S Chithra. The lyrics has been set by O N V Kurup. Chandralekha who rose to popularity within a fortnight is now on cloud nine. YouTube sensation Chandralekha is getting busy with a number of projects under her kitty. After delivering her wonderful voice for Prasanth's 'Love and Love Only', Chandralekha has sung her dream song with K S Chithra, her idol. The movie titled 'His Name is John' directed by debutant T John would be much special for the movie enthusiasts as it would come up with more specialties. The movie will be gifted with the music rendered by Shan Johnson, daughter of musical maestro Johnson Master. Shan Johnson recorded the last song composed by her father before his death. Johnson, one of the greatest music directors still remains in the hearts of millions of music lovers. The movie 'My Name Is John' consists of five songs in which one composed by Johnson while the remaining four were done by Shan herself. An English song written and composed by Shan is also included in the movie. Recently the recording of the songs were held at Saligramam in Chennai. Chandralekha who really excitement to meet her idol K S Chitra and also thrilled to bring her biggest dream alive to sing along with Chithra. As she entered Saligramam, the studio owned by Chitra, Chandralekha thanked everybody who loved her song and prayed for her. The magical singer made name by singing 'Rajahamsame' composed by Johnson. After 2 decades, it would be coincidence that Chandralekha is lucky to sing yet another song composed by the musical maestro. The lyrics of 'His Name is John' has been set by O N V Kurup. Shan Johnson is another gifted musician who would be looking forward to create her own space in the malayalam film industry. Malayali audience who enjoyed the loving voice of Chandralekha is keeping their ears sharp to hear the musical treat offered by her.